The Vortex Viper HD significantly stepped up their game in 2011 with HD (High Density) extra-low dispersion glass. One look is all you will need to appreciate why the Viper is an award-winning binocular. Add XR fully multicoated lenses and you have a unit that delivers bright, crisp details with impressive resolution and colour fidelity. 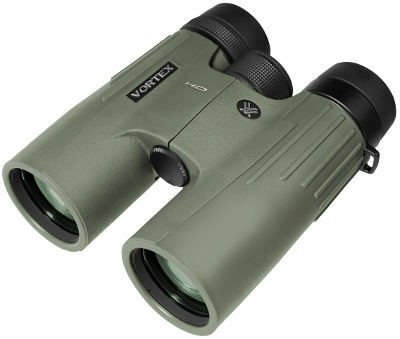 The Vortex Vipers are rugged, compact and lightweight - one of the lightest full-size binoculars available. Supplied with a case, strap and manufacturers VIP guarantee. Stock Availability: Discontinued, details shown for reference purposes only. 31/01/2012 11:44:36 Thank you for your comments.